While many parents have “gone there” at one point or another, understand that this really is a false statement, because all children are inherently born good. They come out innocent, but simply have different personalities. At times, it can appear that everything your child is doing is negative: his attitude, the way he treats you and others, and the way he handles his problems. That’s when those negative thoughts get stuck in our heads. 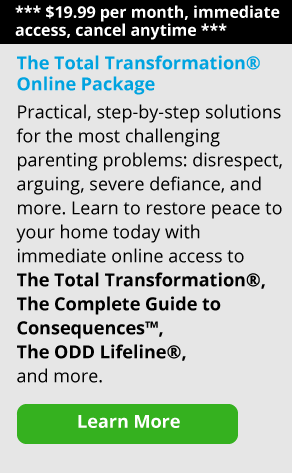 As parents, these thoughts can get us into trouble because we can unconsciously begin to reinforce, through our own behavior, the idea that our child is a bad person. But that’s not the case. Remember, it’s not your child who “turns bad,” it’s his behavior that is inappropriate. If your child was born with a moody or impulsive temperament, and a tendency to take risks, he has characteristics that lead him down paths that are more difficult than other kids might take. Know that when you have a child who’s impulsive, who is a risk-taker, who gets bored and frustrated very easily, he has a lot of work ahead of him. He will simply need more practice and help in learning how to problem solve and cope when things don’t go his way or when he’s bored. What motivates kids to misbehave, act out and be defiant? We understand how hard it can be to parent all your kids when one of them seems to influence the others to misbehave, tries to grab the power from you and take control all the time, or simply makes everyone in the family miserable with their behavior. It does not have to be that way. Here are 6 ways to level the playing field, be consistent with all your kids, and take charge as a parent. Don’t ever make an example of a child by saying things like, “Don’t ever act like your sister!” Along the same vein, don’t ask your defiant kid, “Why can’t you be more like your brother?” Avoid those comparisons and any of these types of comments altogether. Comparisons only breed discontent. After all, your child can’t turn himself inside out and be his sibling; it’s not fair to ask it of him and will only make him feel frustrated and hopeless. Instead, build on each child’s good qualities individually. Prevent trouble by maintaining the mindset that rules are established for everyone, and no one is exempt. With defiant kids, it’s often hard to set limits and give consequences, because they react so strongly and try to wear you down by negotiating, screaming, or refusing to comply. As a result, some parents will give up and stop trying, which will cause the other kids to say, “That’s not fair! Why doesn’t Michael get his phone taken away when he stays out past curfew?” Just remember, the limits should be the same for everyone. You may find that you’re spending more time responding to and enforcing limits with that acting out or ODD kid, especially at first. But rules are for everyone and no one is exempt. Make it real simple on yourself. Another reason to stay the course with your acting-out child? If your other kids see she’s getting away with breaking all the rules, sometimes they will start copying. Here’s the bottom line: There should never be motivation for a sibling to copy another sibling’s bad behavior. Period. If there is motivation, then you really need to take a good look at that and figure out why. Here’s an example: Let’s say there’s a thief in your town that robs a bank, gets caught and goes to jail. Others hear about it and say, “I’m not going to try that.” They know if they get caught, they’re going to go to jail. Now let’s say the bank robber got away with it. The police caught him, but they let him off and said, “We don’t know where you hid the money so we give up.” Some people might be tempted to go rob the same bank if it was that easy, right? There’s no consequence and he got away with all that money. The same goes for your kids. So there should be no motivation for any sibling to want to copy bad behavior. What would you do if he stood there and gave you a half hour lecture? Would you respect him? Would you even really listen? Would you care what he was saying? Chances are you wouldn’t want to hear what he had to say, you would not respect him, and you’d want to get away from him. The only thing that means anything to you is the fact that you were delivered an action—the consequence of the ticket. That is how your child feels about you. Just deliver the consequence the way a police officer would a ticket. Will your child say, “Okay, you caught me—you’re right. Sorry.” Probably not! We also remind parents about what we as adults do when a policeman stops us. We make excuses, we lie, we pretend like we didn’t know we were speeding, we cry, we negotiate. We do all this ourselves, yet we get mad at our kids when they do it with us—but remember, it’s human nature. Just be businesslike and objective, and deliver that ticket. This gives you that detachment and objectivity that you really need, because otherwise you can get sucked into the arguments or the excuses. You can also respond with, “First of all, I don’t. But can you give me an example of why you think I feel that way?” Your child is going to give you a list. Believe it or not, that’s going to be a very good thing. Now you can say to them, “I want to do these same things with you. Last time I took you shopping with me, you pitched a fit and called me names in the store. Can you tell me what it would take for you to be able to do these things with me?” So again, tie the consequences and rewards to the behavior. If you really give your child the goal and let her know you want to do these things for her, it will motivate her to behave more appropriately. You can even say, “I would love to take you shopping with me. Can we make a plan so that I can start taking you shopping again?” You can say something like, “Here’s what I need for you to be able to do. If you can go one day without any temper tantrums, then the next time I go shopping, I’ll take you with me and we’ll see how that goes.” Now you’ve turned it around so that your child has a motivator to earn that outing with you. And, you’re putting the power to change on her. Best of all, you won’t be on the defending end trying to figure out how you can prove to your child that you love her. When you do it this way, you’re letting her know it has nothing to do with love at all. Rather, you’re saying, “I love you and I want for you to have these things. Your behavior dictates all of it. So what can you do to start earning it all back? That’ll make you happy, me happy, and everyone happy.” Now it’s real workable for your child. She can earn that trip. And she knows you want her to be successful and get it. No two kids are the same. It’s your job as a parent to let each child know that you recognize their uniqueness and help them discover their own talent, whatever that is. With defiant or acting-out kids, we forget that they do have that same uniqueness and talent ; every child is born with one. It can be hard to dig down underneath all that icky stuff that might be spewing out every day, but it is in there—even if it’s just that your child is extremely determined and strong. Maybe your son is a good artist or your daughter is an exceptional basketball player. Maybe your child is good with other kids. What do they love to do? As a parent, try to encourage them in whatever it is they love doing. If all you’re focusing on is all the bad stuff every day, you and your child might both forget that there’s some good stuff in there too. 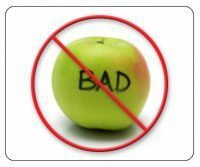 Remember, there is no such thing as a child who’s a “bad apple.” While a bad apple is never going to turn good and be “un-spoiled,” as humans, we always have the option to change. And anybody can change at any given time.